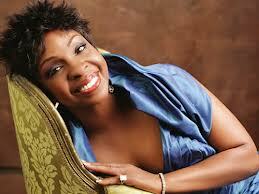 Gladys Maria Knight (born May 28, 1944), known as the "Empress of Soul", is an American R&B/soul singer-songwriter, actress, businesswoman, humanitarian, and author. 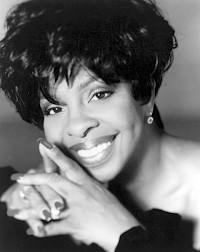 She is best known for the hits she recorded during the 1960s and 1970s, for both the Motown and Buddah Records labels, with her group Gladys Knight & the Pips, the most famous incarnation of which also included her brother Merald "Bubba" Knight and her cousins Edward Patten and William Guest. Knight was born in Atlanta, Georgia, the daughter of Sarah Elizabeth (née Woods) and Merald Woodlow Knight, Sr., a postal worker. She first achieved minor fame by winning Ted Mack's Original Amateur Hour TV show contest at the age of 7 in 1952. 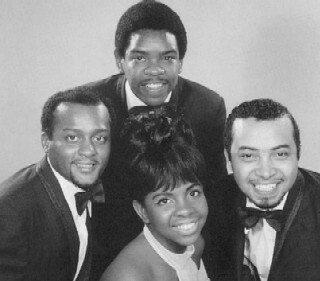 The following year, she, her brother Merald, sister Brenda, and cousins William and Elenor Guest formed a musical group called The Pips (named after another cousin, James "Pip" Woods). 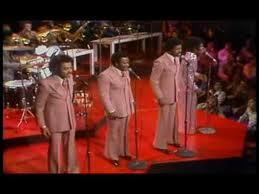 By the end of the decade, the act had begun to tour, and had replaced Brenda Knight and Eleanor Guest with Gladys Knight's cousin Edward Patten and friend Langston George. Knight discovered she was pregnant in 1960, and married her high school sweetheart James Newman. After a miscarriage, Knight returned to performing with the Pips. In 1961, Bobby Robinson produced the single "Every Beat of My Heart" for the group, which became a R&B and pop hit when released on Vee-Jay Records. 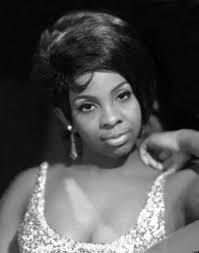 In 1962, Langston George left the group, which at that time renamed itself Gladys Knight & the Pips and continued as a quartet. In 1962, after scoring a second hit, "Letter Full of Tears", Knight became pregnant again and gave birth to a son, Jimmy III, that year. She retired from the road to raise her child while The Pips toured on their own. After giving birth in 1963 to a daughter, Kenya, Knight returned to recording with the Pips in order to support her family. She is a convert to the Church of Jesus Christ of Latter-day Saints. 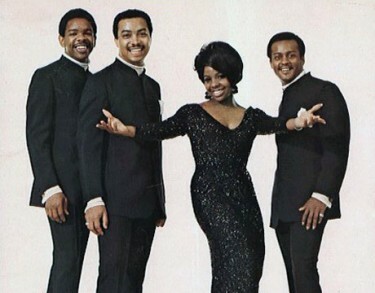 Gladys Knight & the Pips joined the Motown roster in 1966, and, although regarded as a second-string act, scored several hit singles, including "I Heard It Through the Grapevine", (recorded later by Marvin Gaye), "Friendship Train" (1969), "If I Were Your Woman" (1970), "I Don't Want To Do Wrong" (1971), the Grammy Award winning "Neither One of Us (Wants to Be the First to Say Goodbye)" (1972), and "Daddy Could Swear (I Declare)" (1973). 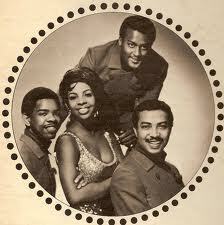 In their early Motown career Gladys Knight and the Pips toured as the opening act for Diana Ross and The Supremes. 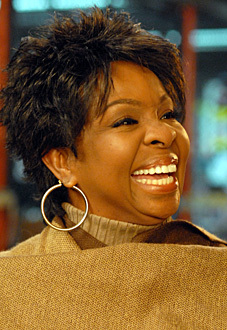 Gladys Knight stated in her memoirs that Miss Ross kicked her off the tour because the audience's reception to Knight's soulful performance overshadowed her. 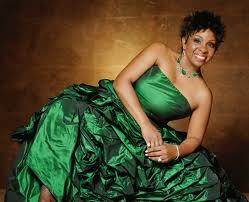 Berry Gordy later told Gladys that she was giving his act a hard time. 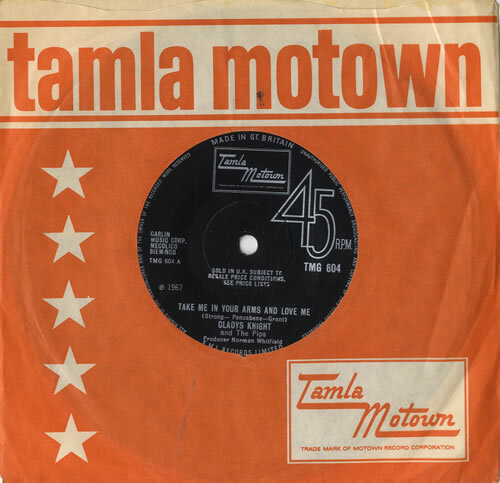 The act left Motown for a better deal with Buddah Records in 1973, and achieved full-fledged success that year with hits such as the Grammy-winning "Midnight Train to Georgia" ( on the pop and R&B chart), "I've Got to Use My Imagination," and "You're the Best Thing That Ever Happened to Me". In the summer of 1974, Knight and the Pips recorded the soundtrack to the successful film Claudine with producer Curtis Mayfield. The act was particularly successful in Europe, and especially the United Kingdom. However, the Buddah hits all followed a number of years after their success in the U.S.. For example "Midnight Train to Georgia" hit the UK pop charts Top 5 in the summer of 1976, a full three years after its success in the U.S..
During this period of greater recognition, Knight made her motion picture acting debut in the film Pipe Dreams, a romantic drama set in Alaska. The film failed at the box-office, but Knight did receive a Golden Globe Best New Actress nomination. 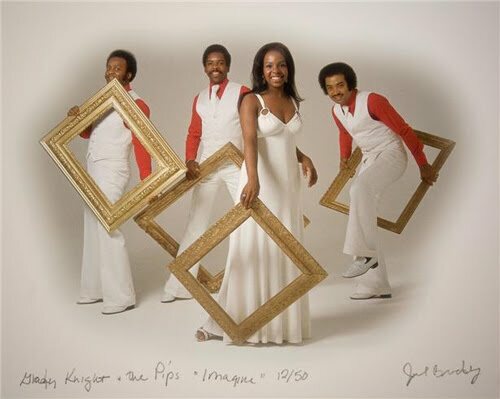 Knight and the Pips continued to have hits until the late 1970s, when they were forced to record separately due to legal issues, resulting in Knight's first solo LP recordings--Miss Gladys Knight (1978) on Buddah and Gladys Knight (1979) on Columbia Records. Having divorced James Newman II in 1973, Knight married Barry Hankerson (future uncle of R&B singer Aaliyah), then Detroit mayor Coleman Young's executive aide. Knight and Hankerson remained married for four years, during which time they had a son, Shanga Ali. Upon their divorce, Hankerson and Knight were embroiled in a heated custody battle over Shanga Ali. In the early 1980s, Johnny Mathis invited Gladys to record two duets – "When A Child Is Born" (previously a hit for Mathis) and "The Lord's Prayer". 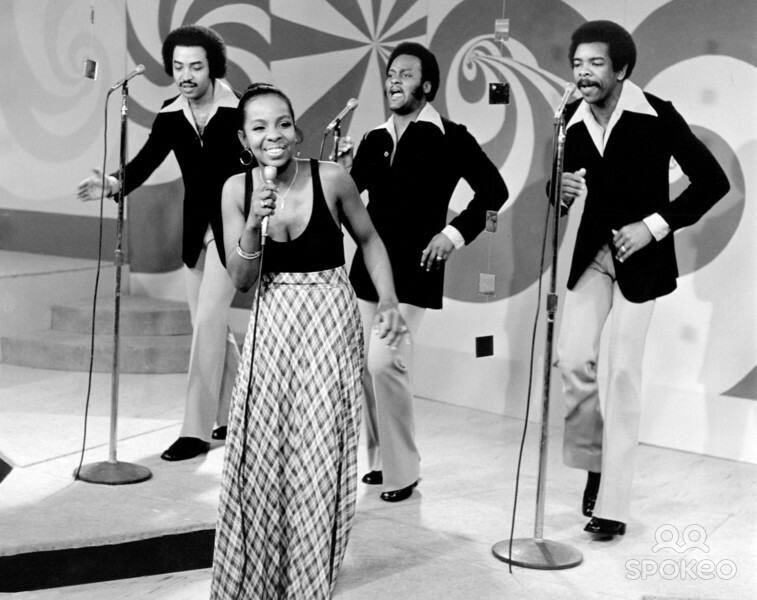 Signing with Columbia Records in 1980 and restored to its familiar quartet form, Gladys Knight & the Pips began releasing new material. The act enlisted former Motown producers Nickolas Ashford and Valerie Simpson for their first two LPs--About Love (1980) and Touch (1981). During this period, Knight kicked a gambling addiction to the game baccarat. In 1987, Knight decided to pursue a solo career, and she and the Pips recorded their final LP together, All Our Love (1987), for MCA Records. Its lead single, "Love Overboard", was a successful hit and won a third Grammy for the act as well. 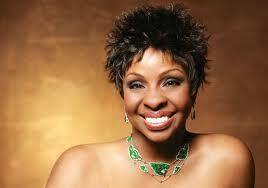 After a successful 1988 tour, the Pips retired and Knight began her solo career. 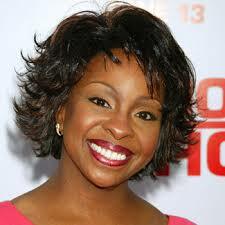 Gladys Knight & the Pips were inducted into the Georgia Music Hall of Fame in 1989 and into the Rock and Roll Hall of Fame in 1996. 1978: "I'm Coming Home Again"
1979: "Am I Too Late"
1991: "Meet Me in the Middle"
1991: "Where Would I Be"
1994: "I Don't Want to Know"
1994: "End of the Road" Medley: "If You Don't Know Me by Now"/"Love Don't Love Nobody"